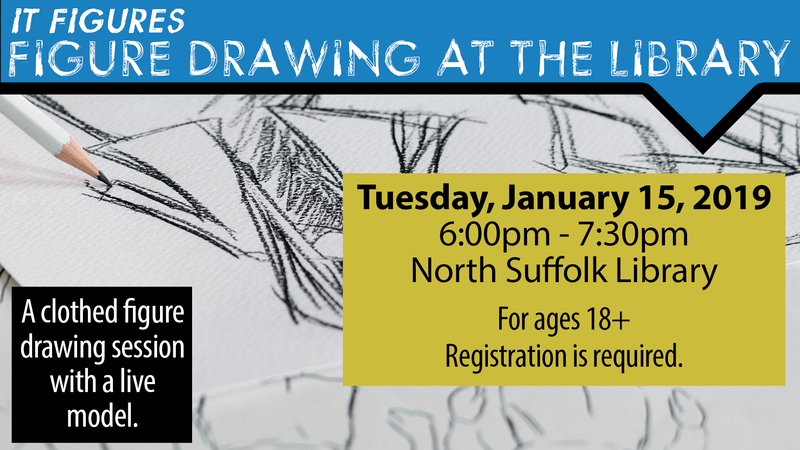 Grab your art supplies and join us at the library as we have a live model for a clothed figure drawing session! Artists will warm up with a series of 1-2 minute gesture drawings followed by a few longer 20 minutes sessions with short breaks in between. Program is 18+, registration required.